The survival of patients with advanced gastric cancer after D2 dissection is still poor. Asian surgeons have proposed a more radical lymph node dissection, designated as D4 dissection, where paraaortic lymph nodes are removed in combination with D2 dissection. To evaluate the survival benefit of D4 dissection, a multi-institutional randomized trial of D2 vs D4 gastrectomy was conducted. Patients enrolled in the study had potentially curable gastric adenocarcinoma at an advanced stage. Patients were randomized to undergo either D2 or D4 gastrectomy. Two hundred and ninety-three patients were registered and 269 patients were eligible; 135 patients were allocated to the D2 group and 134 to the D4 group. Five-year survival was 52.6% after D2 surgery and 55.0% after D4 gastrectomy. There was no significant difference in survival between the D2 and D4 groups (χ2 = 0.064; P = 0.801). Hospital deaths occurred in 1 patients (0.7%) in the D2 group and 5 in the D4 group D4 gastrectomy is a more risky surgery than D2 dissection. 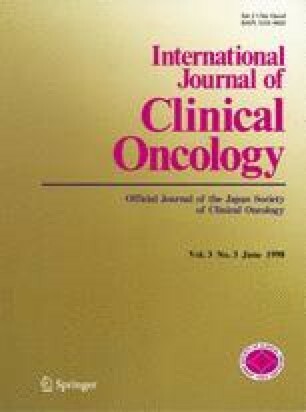 Seven patients (5.2%) in the D2 and 15 (11.2%) in the D4 group died of causes other than gastric cancer recurrence. Sixty-three patients (46.7%) in the D2 group and 52 (38.8%) in the D4 group had disease recurrence. Prophylactic D4 dissection is not recommended for patients with potentially curable advanced gastric cancer.